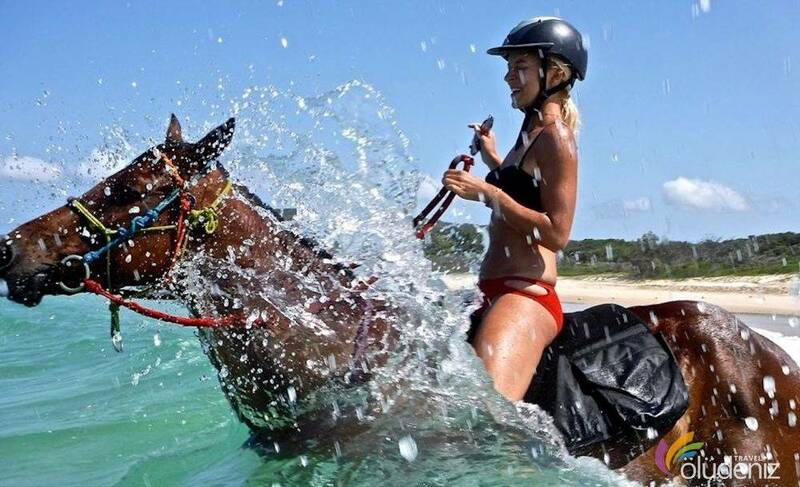 We highly suggest trying horse riding fort he guests who like riding as starter or intermediate level. You can ride either in the morning or in the afternoon. 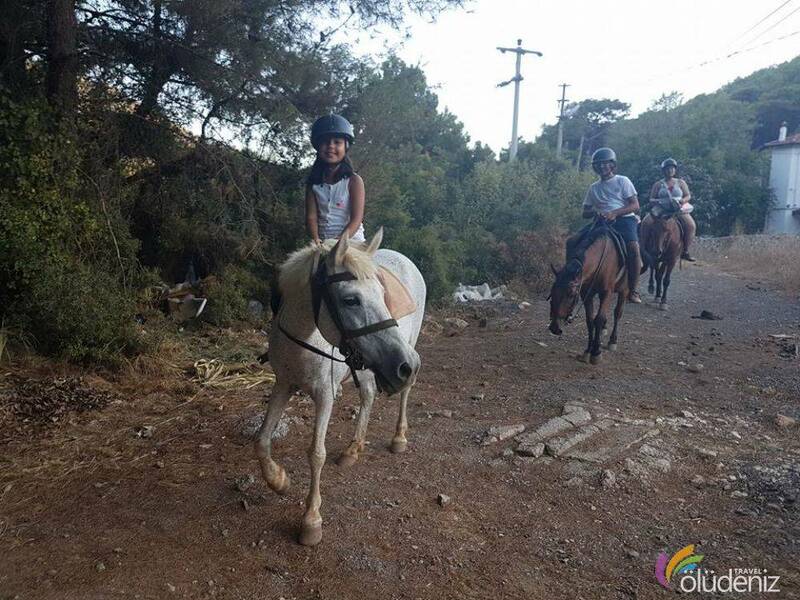 We think that you will love horse riding in which you will be able to see the old Greek houses in Kayaköy (Levissi) and Oludeniz. In the morning – Kayaköy (Levissi) Horse Riding…. The riding takes about three hours and starts from Hisarönü. Then we reach Kayaköy which is famous for its ancient Greek ruins, after riding among the pine trees for about one and half an hour. We give a pause for a cup of tea and pancake for twenty minutes. Then we wander the old church and old houses (Levissi) and take photos of them. After that we ride back from the same route and complete the tour. We say goodbye to you until our next meeting. The riding takes about two and half an hour after starting from Hisarönü. We ride among the pine trees for about an hour. We have a break to view the turquoise water of Ölüdeniz for about thirty minutes. We take many photos in order to enlive the Oludeniz horse riding tour. After taking photos of the wonderful scenery, we get back from the same route which takes about an hour. We say goodbye to you until our next meeting. Note: For Professional riders, you can demand horse racing reservation. The Professional riders can ride seperately from the group. However you can’t demand seperate riding without informing us beforehand. 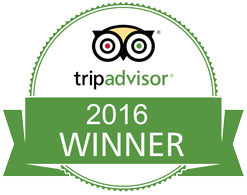 We would like to note that the responsibility of the riders belongs to themselves during the tour. What should I wear during the ride ? You should wear comfortable clothes and trainers. You should also take your sunglasse with you. In which routes do the riding tours take place ? Horse riding is an exciting tour. The rides start from Hısaronu district with two routes. Kayaköy Riding and Ölüdeniz riding. Do I need to be Professional fort he rides ? The ridings require no professionality. Everyone from any age can do riding.